We are one of the main supplier of Hair Massager at our market place. We are at our market place one of the emerging supplier of Hair Massager. Massage scalp and promote head cortical blood circulation. Relieve pressure on the head. Help healthy growth of hair. Easy combing messy, tangled knot of hair, reduce pain, say goodbye to messy is that simple! Multi massager comb.Good for hair growth, bloodpressure, stress, hairfall control, body massage. 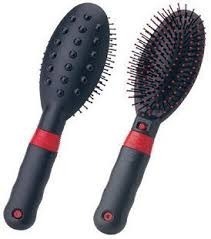 - OSIM iBrush soothes, stimulates and relaxes to improve the condition of your hair. - Gentle vibrating bristles improve natural hair oil production whilst providing an invigorating scalp massage simultaneously. We are one of the main supplier of Hair Massager.